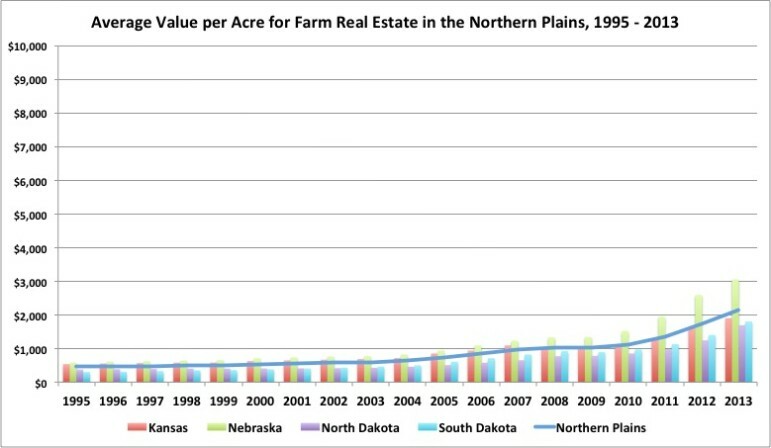 The average value for farm real estate climbed 9.4 percent from 2012, according to the 2013 Land Value Summary released late last week by the U.S. Department of Agriculture. 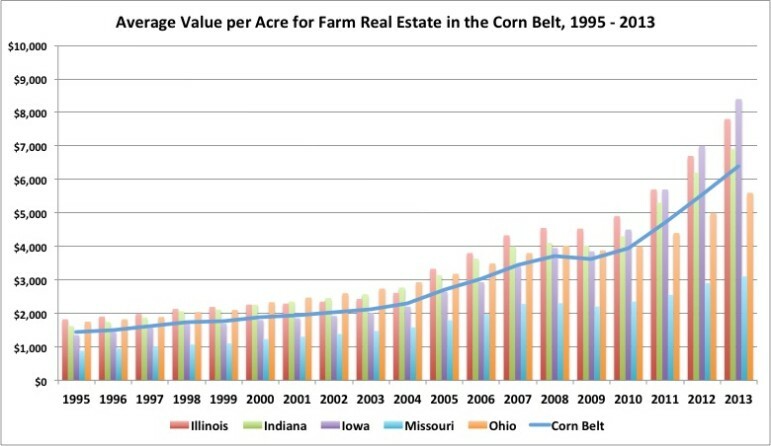 At $6,400 per acre, the highest value remains with the Corn Belt region, which includes Illinois, Indiana, Iowa, Missouri and Ohio. And at 9.4 percent, the highest increase in land value from 2012 is the Northern Plains region, which includes Kansas, Nebraska, North Dakota and South Dakota. 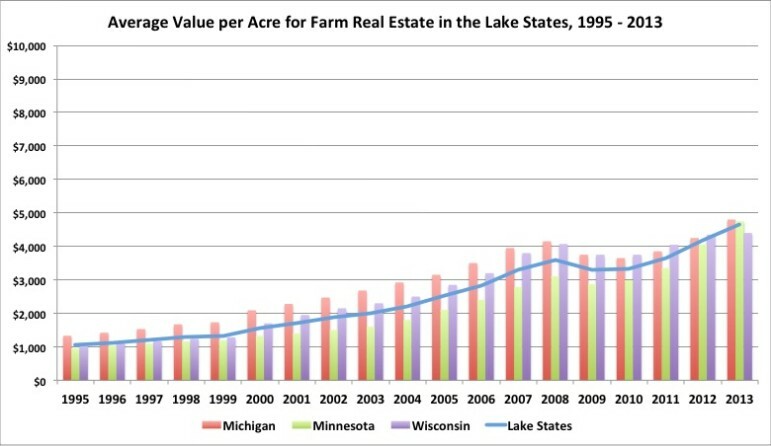 To help put these numbers into perspective, using the same data are some graphs to show the average increase in value per farm acre dating from 1995 to 2013. Description Annual report regarding the current valuations of farm, crop and pasture lands according to state, region and national levels. 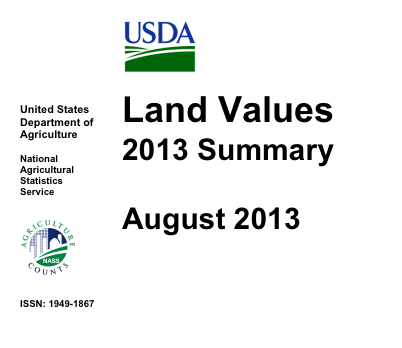 Prepared by the National Agricultural Statistics Service for the United States Department of Agriculture.